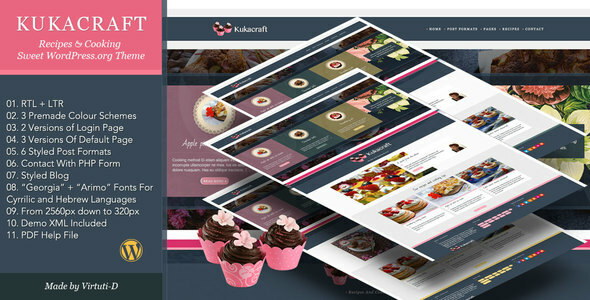 Kukacraft is simple in use, classic WordPress theme for Cooking / Recipes / Toys /Flowers and similar websites. Comes with especially written for this theme widgets. Comes with 3 pre-made colour schemes. Suitable for RTL languages websites.